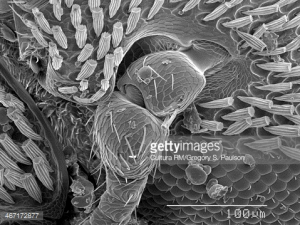 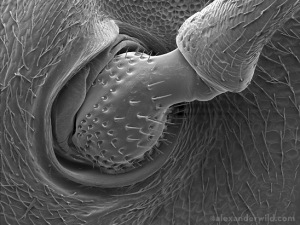 After MUCH thought I’ve abandoned visual for tactile- I will create a mask inspired by insect exoskeletons, with moveable ‘sensory hairs’ pressed against the face. 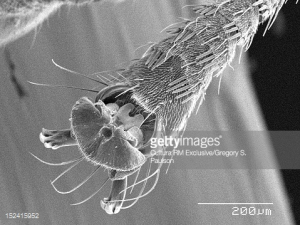 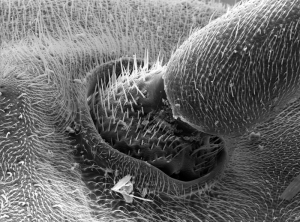 Insects are covered with numerous barbs/hairs called setae, some of which have sensory purposes. 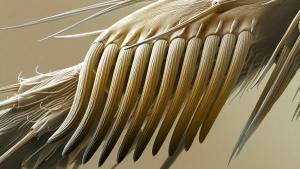 Their exoskeleton is formed out of a resin-like protein called chitin. 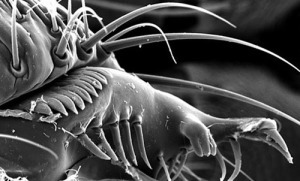 When imaged with the scanning electron microscope, the exoskeleton can look as if made of opaque plastic- because of this I’ve been dying to 3D print forms inspired by electron microscopy.